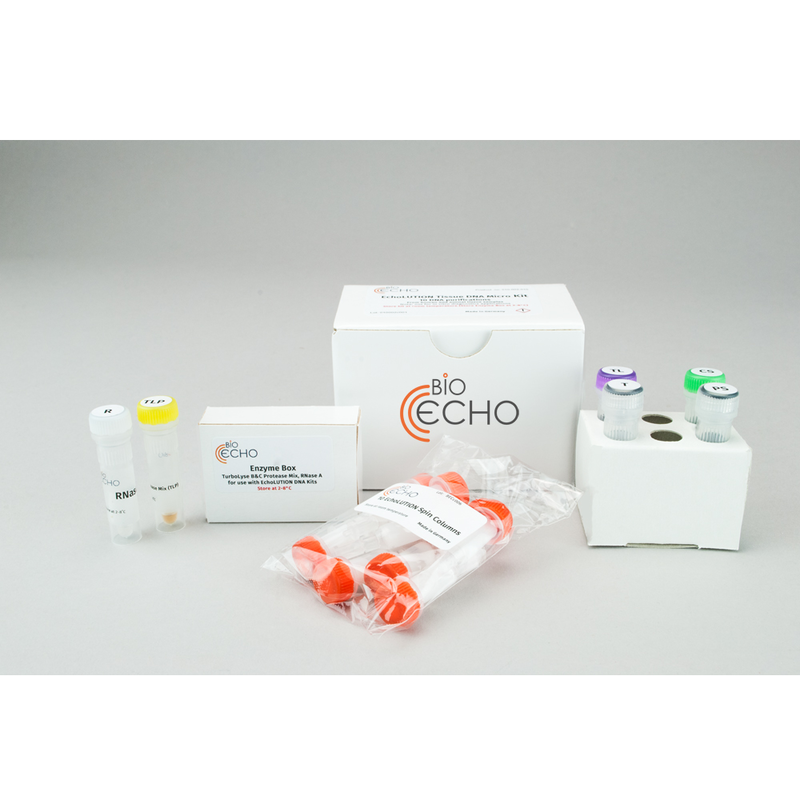 Bioecho’s nucleic acid purification kits are ground breaking in that they have been developed to be much faster, more reliable and more sustainable than existing silica-based kits on the market. 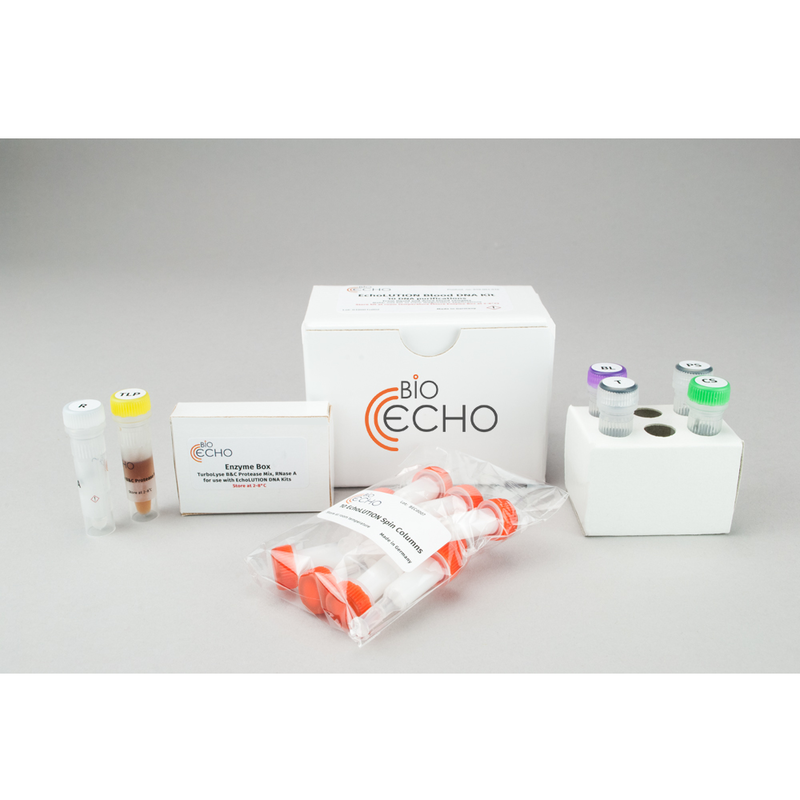 Depending on the kit, the entire procedure, including sample lysis, can be completed in less than 30 minutes at room temperature, due to the use of a proprietary reagent, TurbolyseTM, which contains a unique blend of proteases. 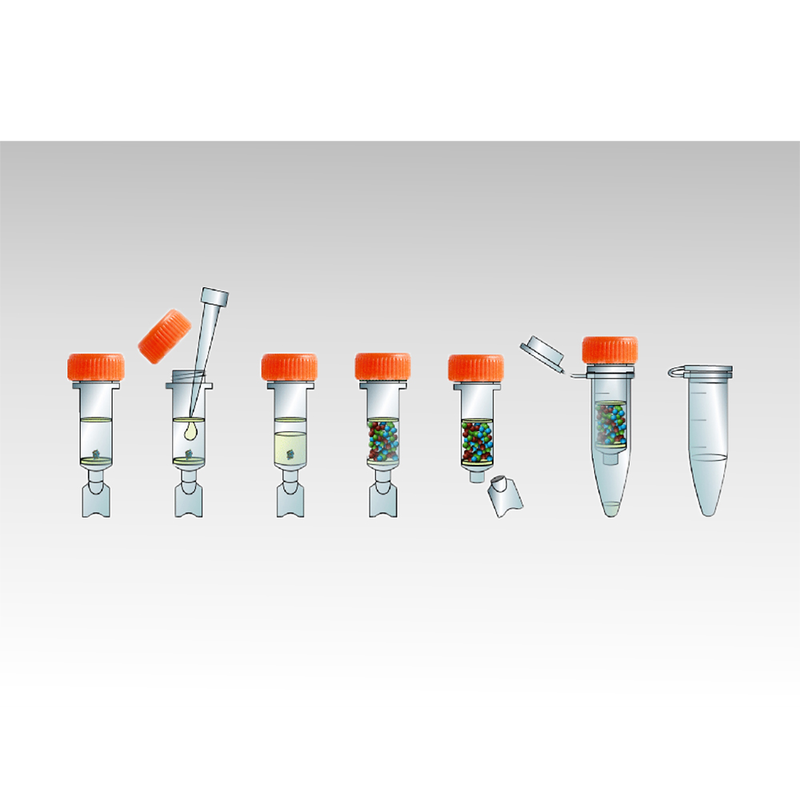 The kits use non-aggressive chemicals and work under aqueous, physiological DNA-protecting conditions to generate high yield, ultra-pure, high molecular weight DNA, which even when undiluted, performs with superior sensitivity in downstream applications like PCR, qPCR and next generation sequencing. They do not contain hazardous reagents, use 70% less plastic than silica-based kits, and are packaged plastic-free, all of which is just what the modern sustainable, eco-friendly lab needs to reduce its carbon footprint. 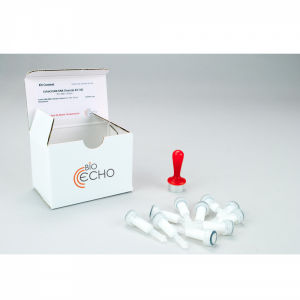 The EchoLUTION Blood DNA Kit has been developed to purify genomic and mitochondrial DNA from all kinds of blood including fresh, frozen or whole blood or dried blood spots (FTA card punches). EDTA-, citrate- as well as heparin-stabilized human and animal blood can be used.